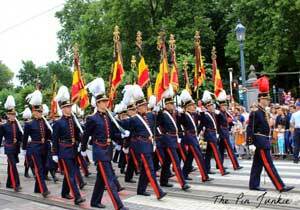 Belgium National day is celebrated annually on July 21 each year celebrating the independence that Belgium got back in 1831 separating from the Netherlands. People will celebrate by attending parades and other civic events as well as showing the national colors. Belgium had been part of the Netherlands Kingdom since 1815 but the population was Roman Catholic versus Protestant for the other parts of the kingdom. After an uprising in 1830 the powers that be recognized Belgians independence.